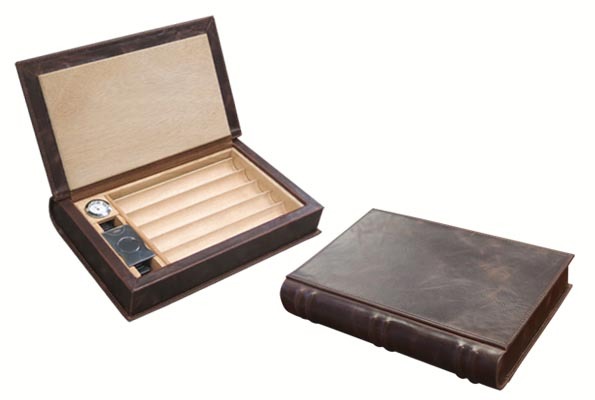 Humidors – Because Even Cigars Need A Place To Call Home! Unless you plan to smoke your cigars right away, you will want a humidor to provide a safe place to store, preserve, and age your sticks. Cigars are sensitive to the environment and can quickly dry out, get brittle, and crack. Equipped with a humidification system, a cigar humidor helps emulate the tropical conditions of their origins. Ideally cigars should be kept at 68 to 72 percent humidity, temperatures of 20-22 degrees Celsius (or 68-70 degrees Fahrenheit) and have sufficient air flow. 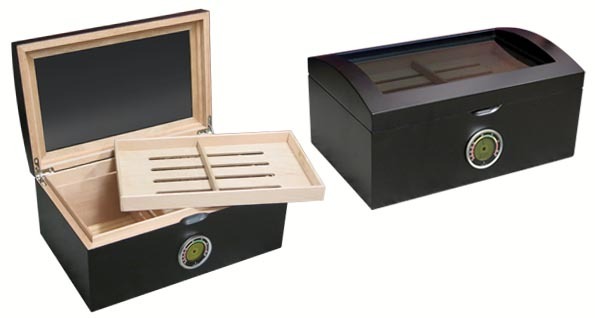 We have a wide selection of cigar humidors in our Edmonton tobacco store. We invite you to browse our selection, read tips for selecting the right humidor, or stop by the store to talk with us! 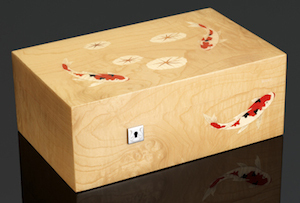 Choosing a cigar humidor is almost as much about aesthetics as it is about functionality…almost. You should have no problem finding a humidor that fits your eye, but make sure it features some basic qualities. Here are some guidelines for finding the right humidor for your cigars. The outside of the humidor is typically in the eye of the beholder, but many find mahogany as the wood of choice. And, much like a good life lesson…it is what is INSIDE that counts. The humidor should be lined with Spanish cedar. Please note the key word here is ‘Spanish’ cedar (not Western, Red, or any other). Spanish Cedar absorbent qualities make it excellent for keeping your cigars at 60% – 70% humidity. The humidor should be well sealed and a minimum of 5/8” thick. This ensures better control as outside temperatures fluctuate. Choosing a size is really up to the buyer. Keep in mind that when a manufacture says the humidor fits “100 cigars,” they are referring to the smaller ‘corona’ size (and your preferred stick may be bigger). For that reason, it is a good idea to get a slightly bigger humidor than you are thinking you might need…you can always grow into it! 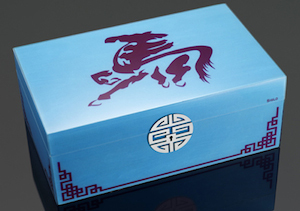 We carry Humidors in all sizes from Travel humidors, Desktop Humidors, End Table Humidors, Cabinet Humidors and Electronic Humidors‎ in ready stock. There are a variety of costs ranges for humidors but until you get into the ‘towers’ you don’t have a significant expense regardless of the size you choose. Avoid humidors that are too cheap. Often times they are ‘rejects’ that have bad materials or inefficient sealing. Your cigars are too great to lose to a bad humidor. The design you choose is completely up to you. Some people want intricate wood inlays while other people want something a little subtler. You can even find humidors that have glass windows so you can see your cigars. Just keep in mind that although glass humidors are interesting to view, they are a bit harder to keep regulated. Use the above guidelines or come in and talk to one of our humidor experts. We are here to help ensure you will have many years of great smokes!